Rediff.com » Movies » Happy birthday, Ram Charan Teja! Happy birthday, Ram Charan Teja! Telugu actor Ram Charan Teja, who was recently seen in Zanjeer, turned 29 on March 27. Teja's birthday celebrations were held at the Chiranjeevi Blood Bank in Hyderabad earlier this morning. Polish-German model and actress Claudia Ceisla, who was earlier seen in Bigg Boss, shared a picture of her latest item song (above). Titled Patnewali Hoon, the song will feature in Anand Kumar's Desi Kattey. Rekha Bhardwaj has sung the song while Kailash Kher has composed the music. ''Patnewali hoon, ajee haan Patne wali hoon' ... First look of my new item song just for u friends,' Claudia tweeted. 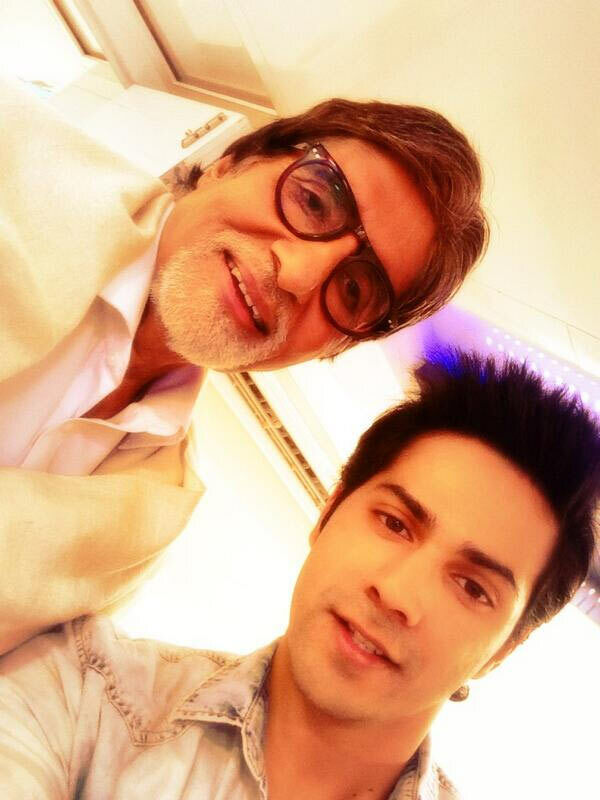 The selfie phenomenon seems to have caught on with Bollywood's stars, and several actors posted pictures with Amitabh Bachchan, who is currently promoting his upcoming film, Bhoothnath Returns. Kapil Sharma met Bachchan on the sets of his show Comedy Nights With Kapil, and tweeted. 'Finally met my idol @SrBachchan hav no words to explain how m feeling right now... Feeling feverish,' he tweeted with a picture.